A good web presence is an essential part of marketing today. We’re going to cover what makes a good marketing website, and how to create one using WordPress. All of the WordPress templates chosen below have features like an about page, a contact page, and portfolio galleries to show your work. You’ll notice that in this WordPress list, many of the themes chosen promise “SEO” sites. But what does that even mean–is there such a thing as an “SEO site”? b) it’s built in a way that makes that content easy to find by Google. If SEO is a primary concern for your site, like if you’re trying to rank high in Google for a certain phrase or keyword, then just downloading an SEO-driven WordPress site won’t get you anywhere. You also need quality, useful content that is helpful for your readers. Think of the WordPress theme as the framework to hold that content, not as the solution to your SEO needs. Below, we’ve curated well-designed, bestselling, and standout WordPress themes that are made for marketing websites. Some of them are created for digital agencies and for SEO purposes, while others are for more niche purposes, or built for a specific marketing need, like a landing page. 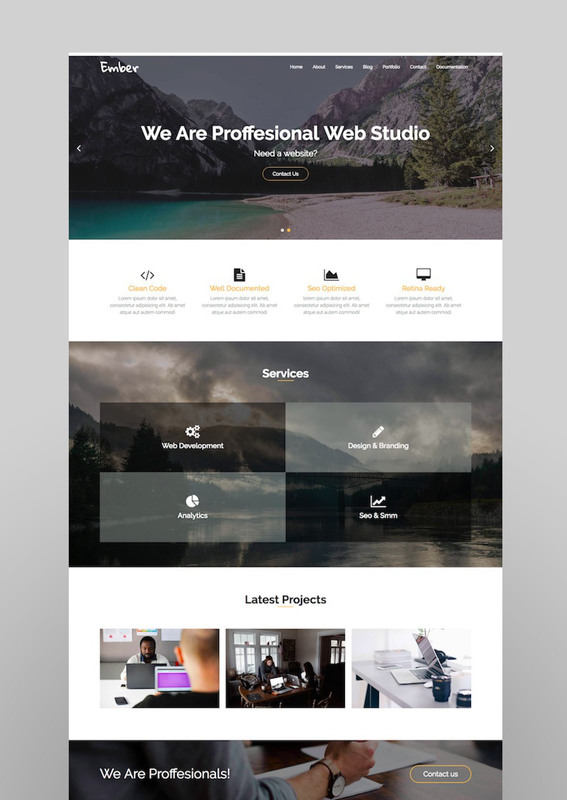 A popular theme from web designer Codevz, the options are endless with this one–a great choice if you’re not sure how you want your site to look yet, and you want the ability to play around and redesign. 34 full demos, with a 1-click demo importer. Drag and drop, a live customizer, plus completely customizable headers and footers. It’s SEO-friendly and WooCommerce-compatible. 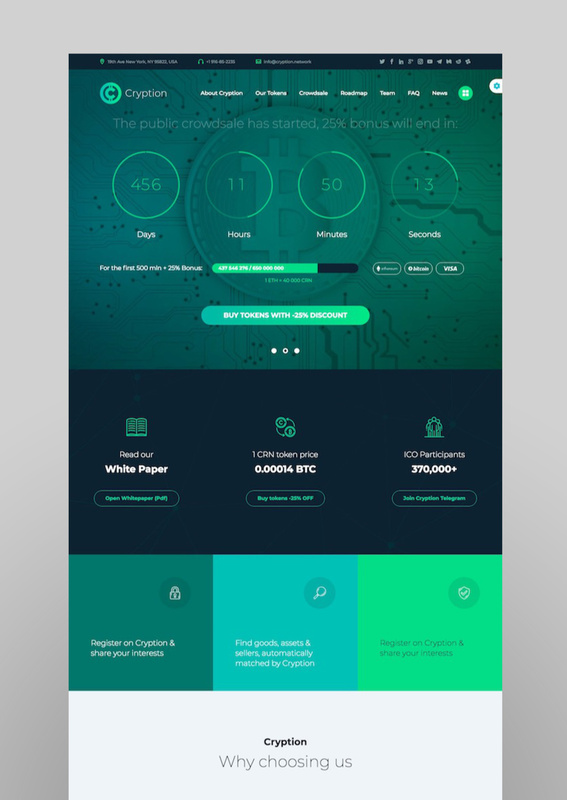 This theme was created in April 2018, so it’s relatively new to the market. It’s a fast-loading WordPress theme that’s built with WPBakery Page Builder, one of the most popular and easy to use drag-and-drop page builders around. 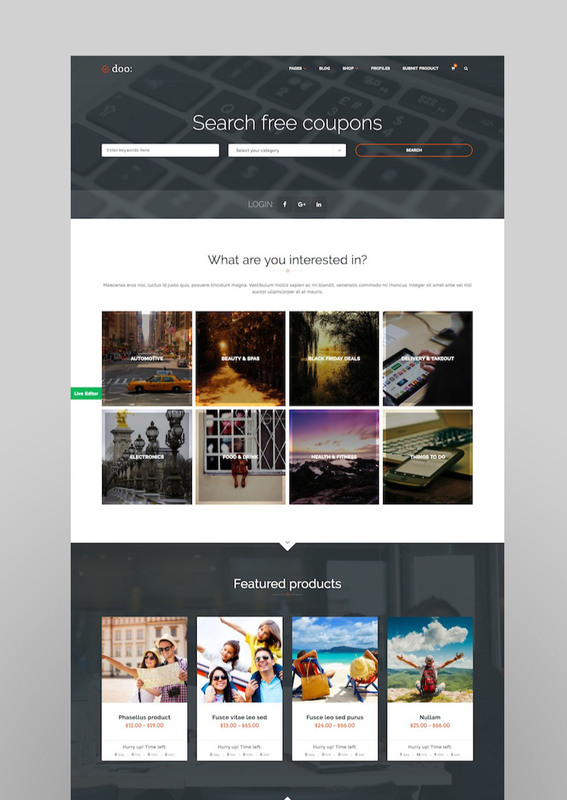 Ember is a digital marketing WordPress theme from DifferThemes. It’s fully responsive, well-designed, and easy to customize colors and fonts. The one-click install means you can get your site up quickly. 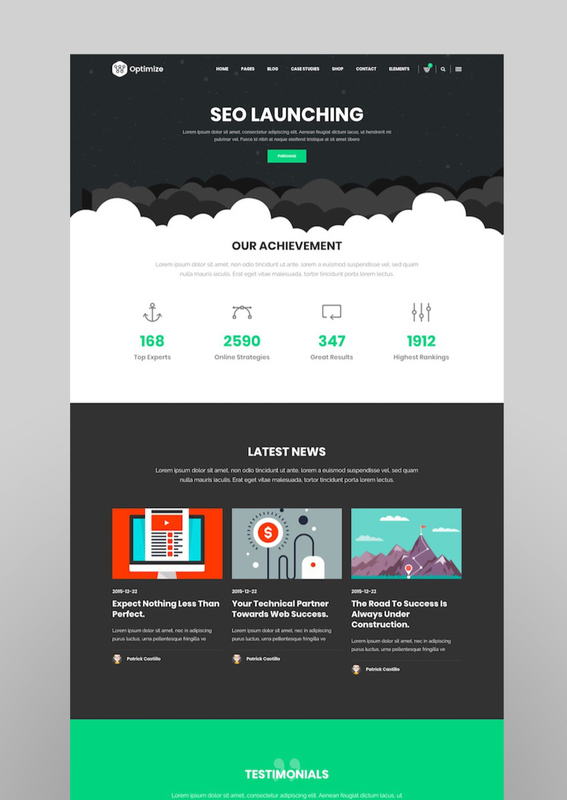 Yamato is made for corporate businesses and marketing websites. It’s full of useful WordPress plugins and it’s responsive to work on all devices. This is one of my favorite WordPress themes on the list, especially the pictured demo (#3). 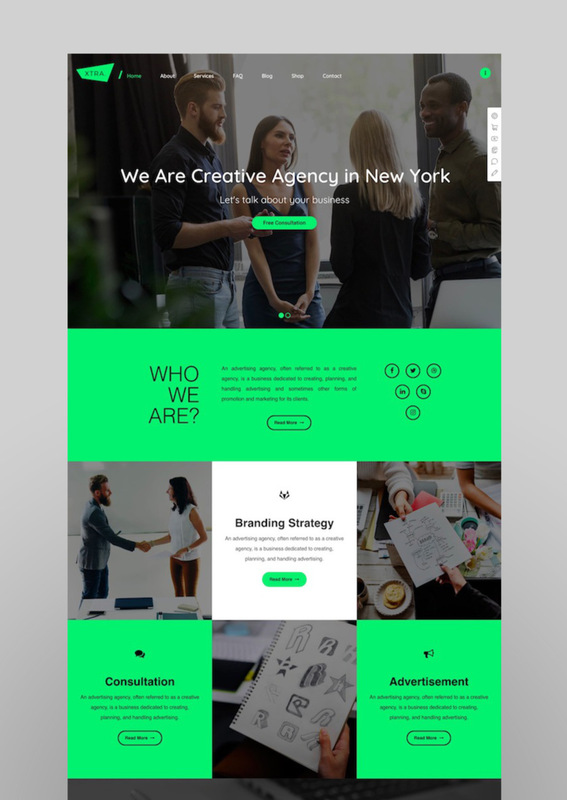 The simple outlined border is a popular trend right now in web design, and the bright color choice makes it stand out. 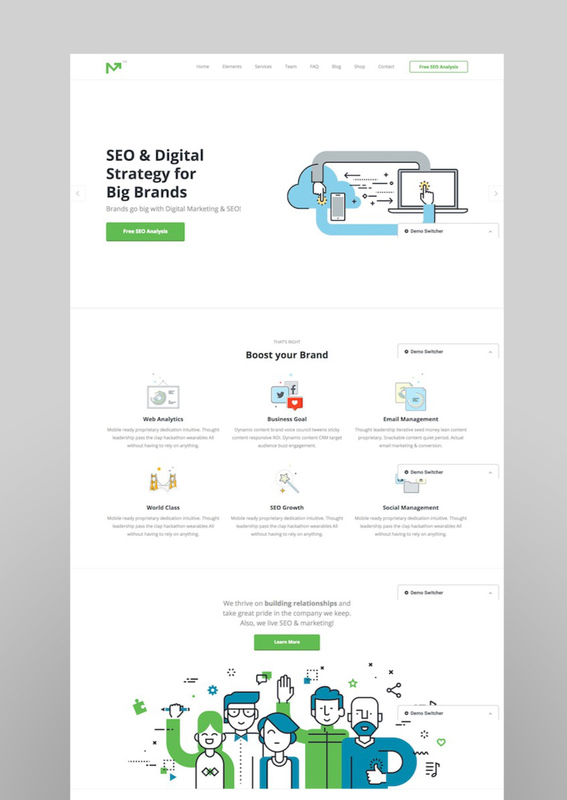 There are subtle micro-interactions and animations that make it a fun website to navigate. Definitely a standout choice! 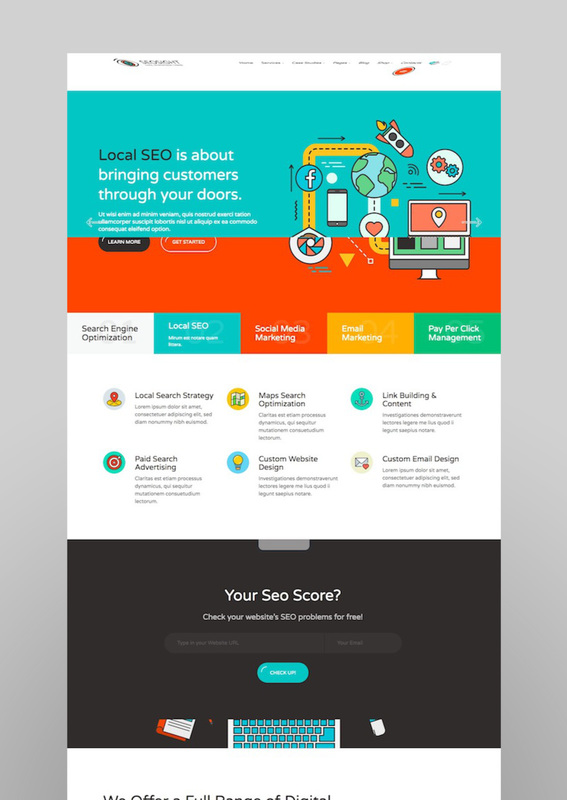 Marketing Pro is a theme made for agencies, especially SEO companies. It has the option to come with WordPress Managed Hosting, which means that Envato will set up the theme, sort out the hosting of your site, and provide support if you run into any issues. 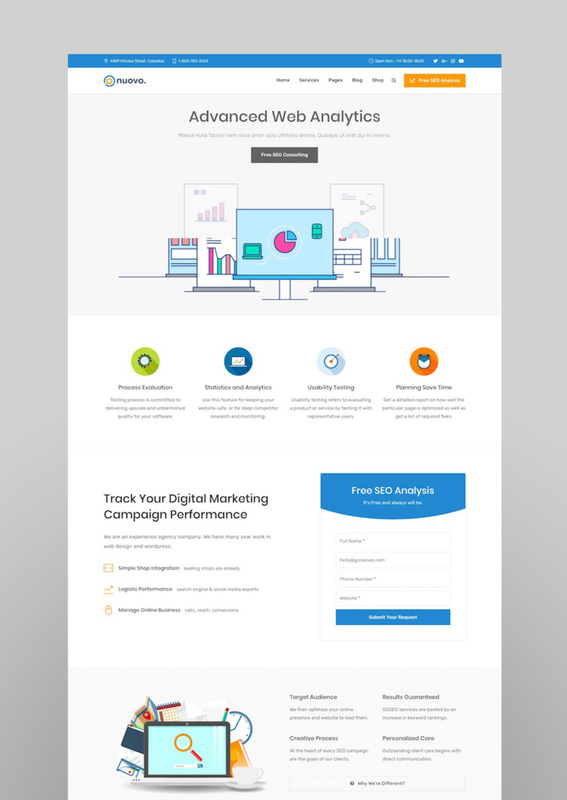 The pages are particularly geared towards e-mail capture, with landing pages and promos. 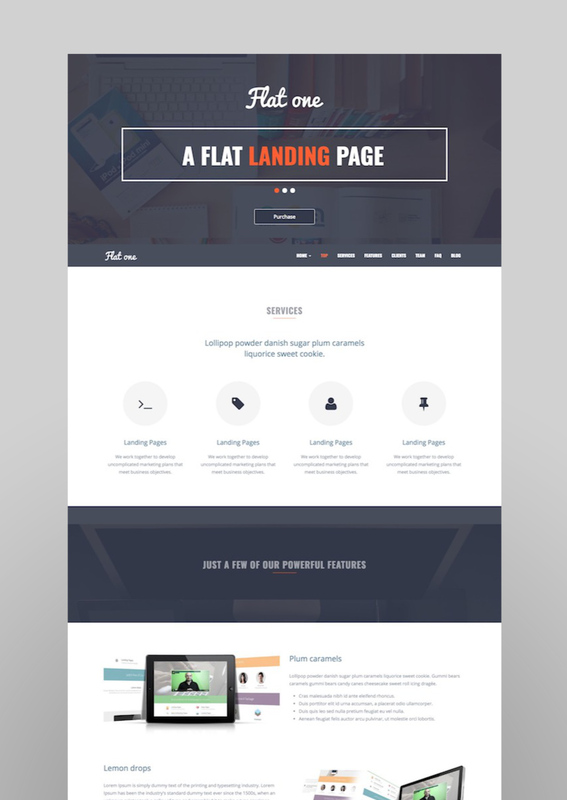 Created by elite WordPress designer Crumina, this theme has over 1,000 sales, with an average rating of 4.99/5. That’s impressive! It has a live frontend editor, a contact form builder, and third-party plugin support. 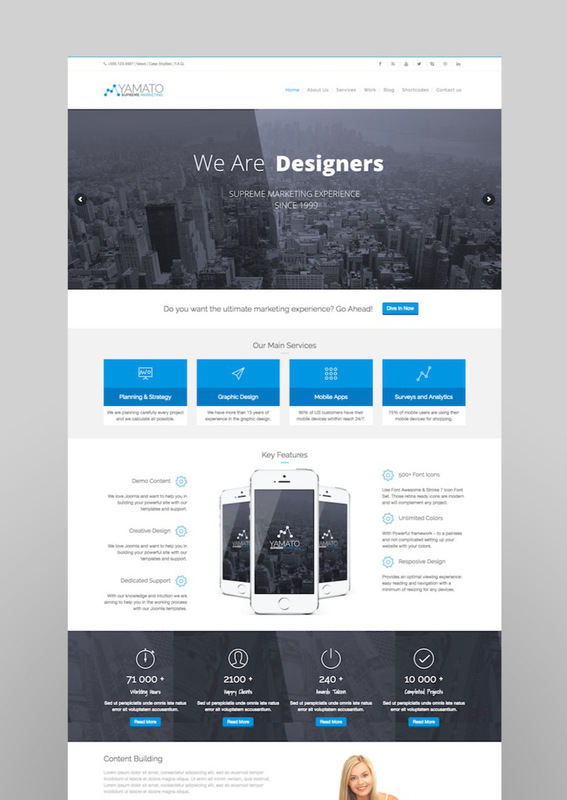 It also comes with a PSD and HTML template for the site. No one can guarantee a spot on page 1 of Google, that’s not how SEO works. However, your chances of achieving that will be significantly higher with a well-designed website full of quality, useful content on your topic of interest. This WordPress theme is designed for SEO-driven websites, and it comes with all the premium plugins and features you’d need. 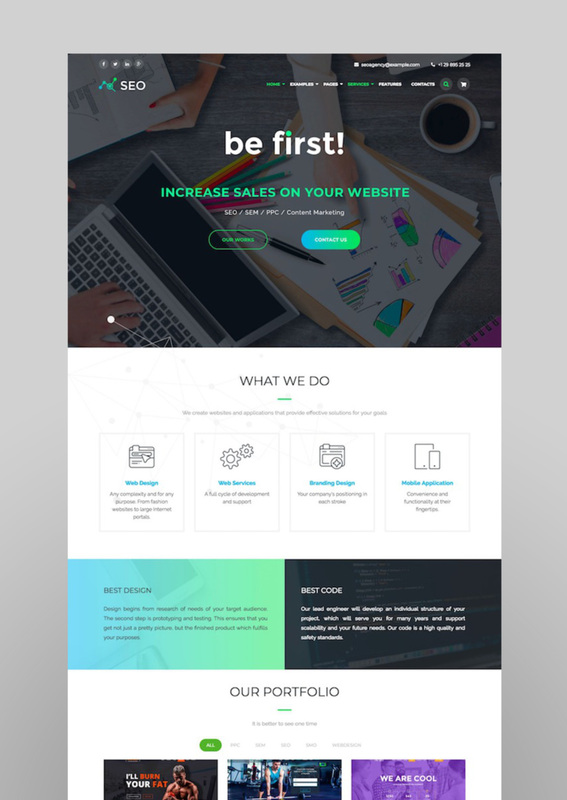 “Build a better website” is the tagline of this Themeforest-featured WordPress theme, Optimize. It has fast page loading, 12 different homepage options, and SEO plugin-compatibility with top SEO plugins, like Yoast and All-in-one SEO. It comes with Revolution Slider, Visual Composer, and WPML.org. 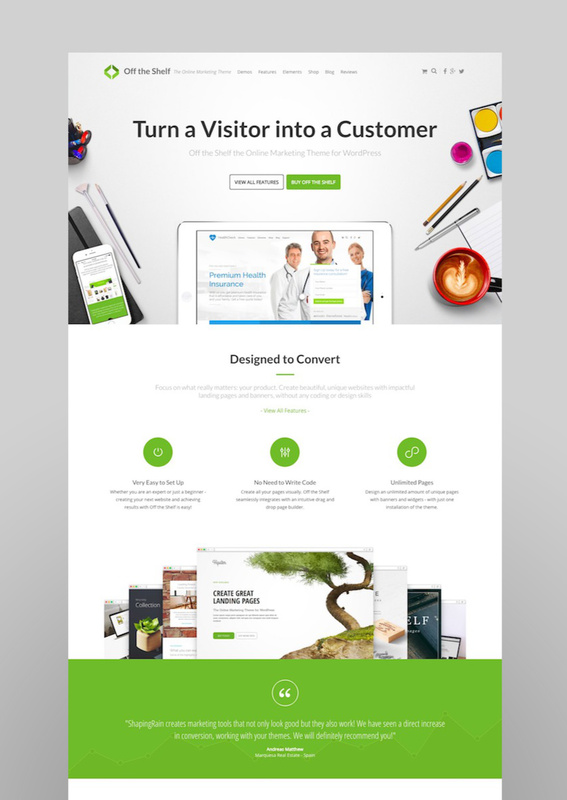 If you’re looking to turn visitors into customers, this WordPress theme is made to convert . Whether you’re selling a service, a product, or a full online shop, this site has the capability to build what you need. 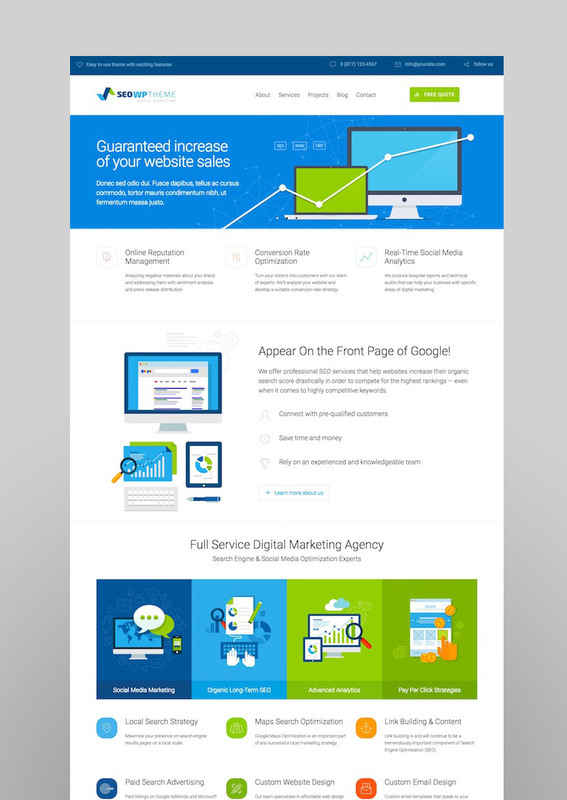 A popular WordPress theme, The SEO is a “complete solution” for digital marketing agencies. It includes premium plugins and a one-click demo installer. The customer service and support is highly rated. “BUY FROM THIS GUY HE REALLY ROCKS!!!!!!!! !”, writes one user. Launching your own version of Craigslist or eBay? This WordPress theme has functionality for five different types of ads, including regular selling, auction, exchange, buying, and gift ads. It’s well-designed and easy to navigate, with many options for custom fields. There’s even an auction component and internal messaging. Market is a stylish WordPress theme from elite designer PixelGrapes. 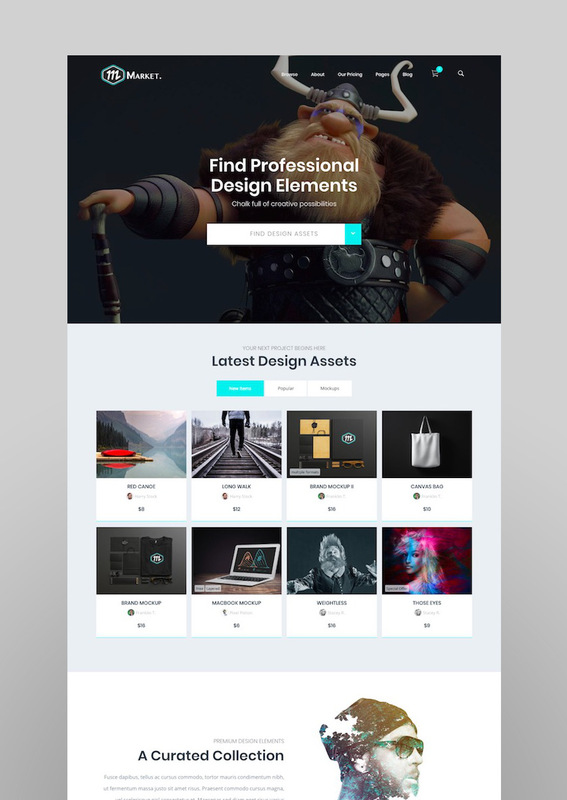 The design is similar in many ways to our own Envato marketplaces, like Themeforest and Envato Elements. 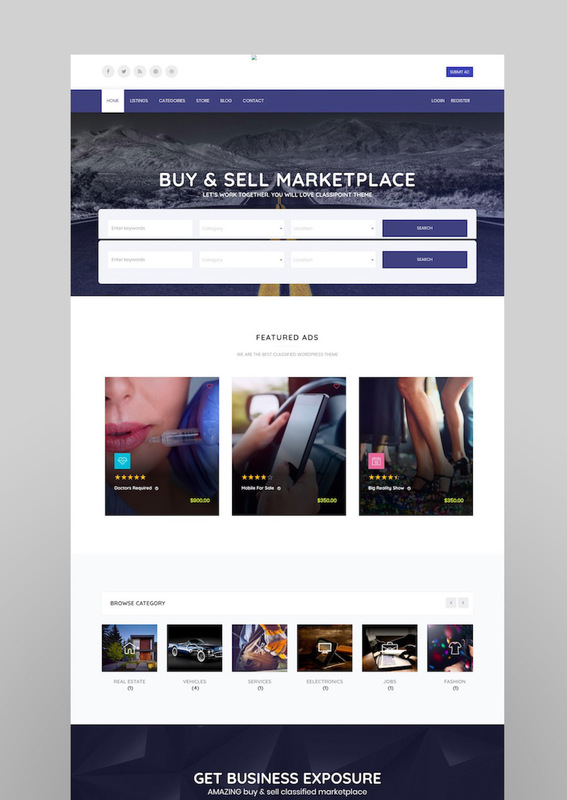 Users (or “sellers”) can create their own marketplace pages and unique online storefronts within the marketplace. 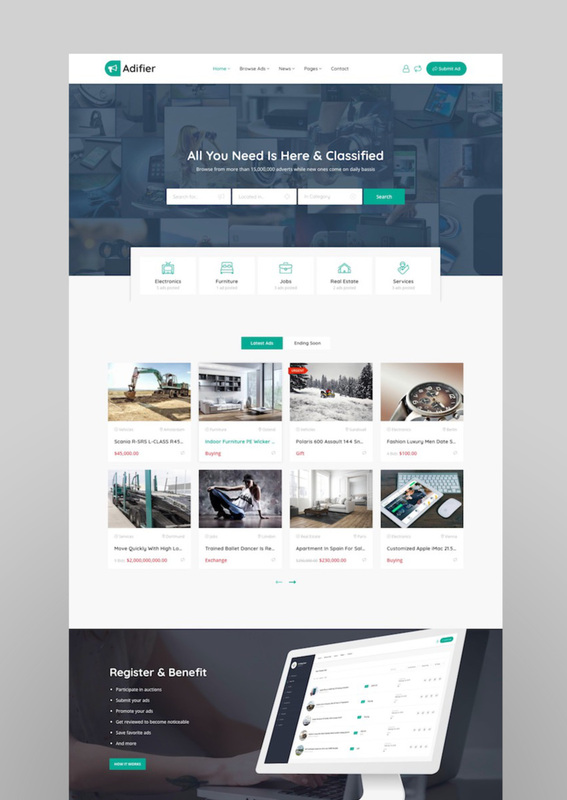 Another WordPress theme for classified ads that includes a messaging system, account verification for extra security, and varying item-display styles. It comes with fifteen pre-made layout options, including ones with interactive map backgrounds and full-width images. Pictured above: Elca demo. Are you one of those people who can’t stop talking about blockchain or cryptocurrency? Here, they made a WordPress theme for you. From the designers of bestselling theme TheGem, Cryption comes with several different options for advanced ICO launching countdowns, so you can build up the hype for your launch. Plus various blog layouts, so you can write all about how you think blockchain is the future of the internet. Venturing into the dark world of affiliate marketing? This WordPress theme was made for affiliate marketing sales, including features like a Daily Deals marketplace and group buying. 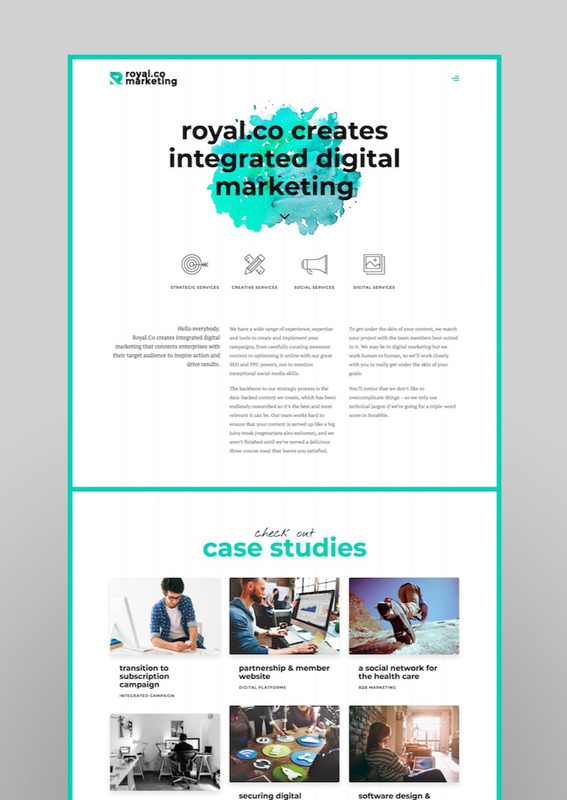 A single-page template with a flat design and parallax scrolling. Sections include services, client testimonials/info, a mailing list sign-up, a sortable portfolio, a team section, frequently asked questions, a contact page, and social media links. 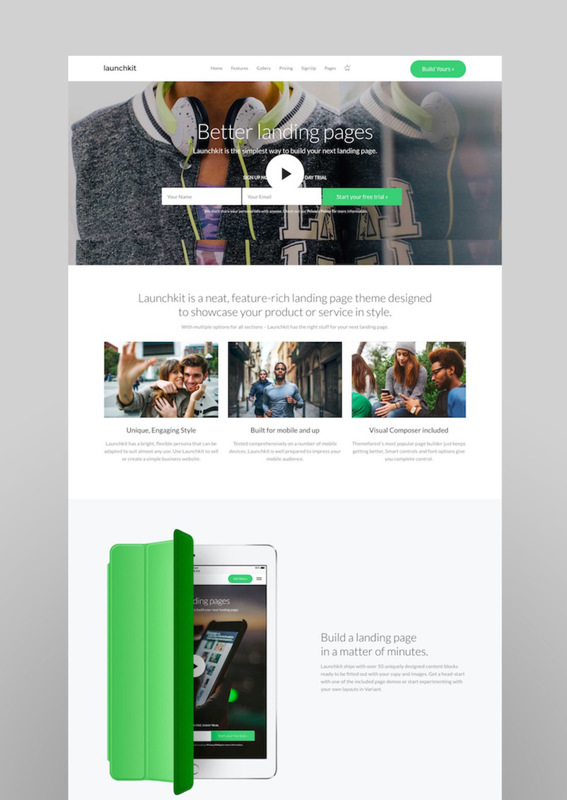 A landing page template with several options for the demo site and layout. The grid-based plans and payment options makes this a solid choice for product sales or subscription-based business models. Here ends our list of marketing and SEO-related themes for WordPress—let us know your favourites!